I’ve first-hand experience of being given a waiting list number instead of a primary school place so I know what a nerve-wracking process this is for parents. Although ‘bulge classes’ are not ideal there is no alternative given the short amount of time between now and September 2013. I welcome the announcement of where the majority of the 12 bulge classes will be located as this will help parents make more realistic choices on their application forms before the 15 January 2013 deadline. Micklands has been confirmed as one of the two primaries north of the river taking a 'bulge class', the other primary is expected to be finalised & named this week [I'll update this post when it is confirmed]. If you live in Caversham and are applying for September it is worth holding off until the announcement. If, on the other hand, you've submitted your application already you are able to change it. The Council is further off finding a solution for the remaining two bulge classes in central Reading. The shortage of school places came to a head right across Reading back in April for children starting Reception in September this year. On offer day this year 79 families weren't given a school place because the Labour administration had failed to anticipate and prepare for the number of applications or even where the worst pressure for places was likely to be. As my colleague, Cllr Sandra Vickers said, “Nobody wants a repeat of that shambles." Like me, Sandra hopes the administration’s forecasting will prove to be accurate next time. For many years I've campaigned on school admissions (predominantly primary though not exclusively). I've helped parents fight admission appeals and know how difficult it is to win an appeal once a reception year, primary place has been refused. Therefore it is all important parents filling their application form in wisely, giving the best chance of getting a school place. Advice is provided by RBC on this page. 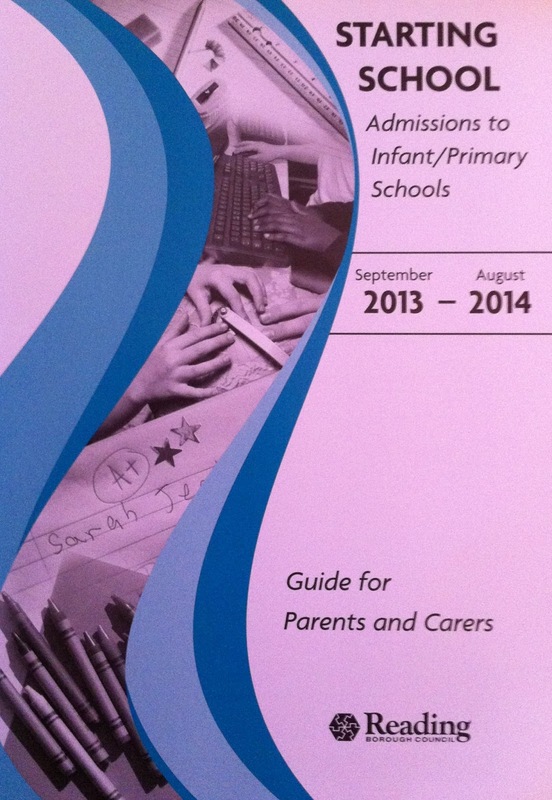 RBC's school admissions team are on 0118 9372550. If, after reading RBC's information you still would like some help, do drop me an email and I will be happy to advise.